Retracing An Explorer's Footsteps to Machu Picchu The cloud city, high in the Andes mountains, was discovered by an American 100 years ago. On the occasion of this centennial, author Mark Adams looks at the history of the site, the path taken by the adventurer who found it, and the fight over the artifacts he took. Nearly 250,000 tourists visit Machu Picchu each year. Though this year is the centennial of the site's discovery by Hiram Bingham, artifacts Bingham took from the site have recently been the source of controversy. 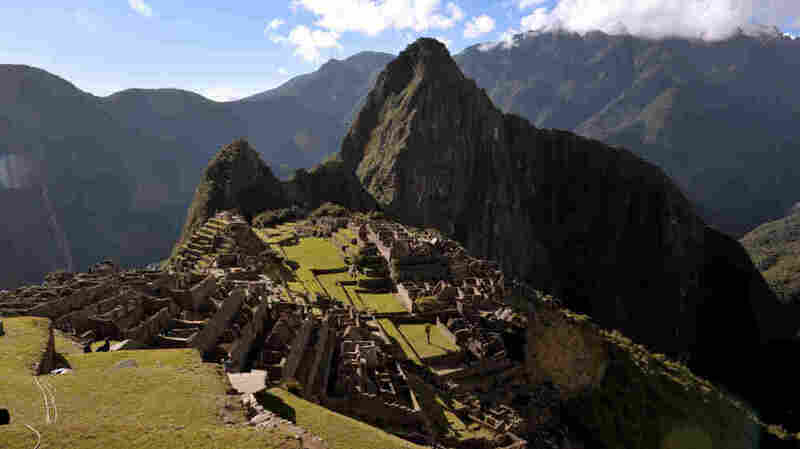 On July 24, 1911, Machu Picchu was found by an American historian, and this weekend many are celebrating the centennial of the "discovery" of the cloud city high in the Andes — one of the most remarkable archeological sites on the planet. Now, of course, Peruvians say that the city was not discovered a century ago today, because they never lost it. But Americans give credit to Hiram Bingham III, who climbed the Andes and saw the remarkable city, surrounded by holy mountains and filled with houses, terraces and temples that with all our modern skills and machines would be impossible to build today. 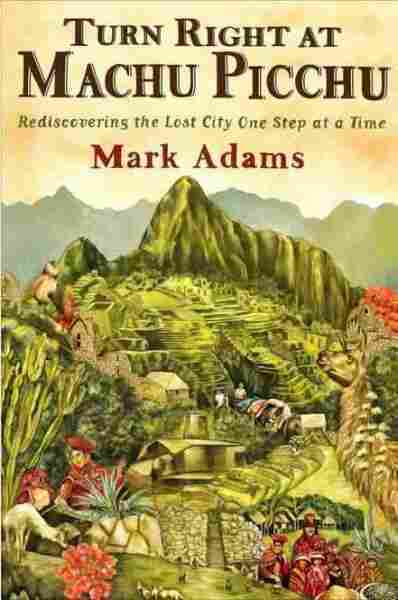 To write his new book, Turn Right At Machu Picchu, author Mark Adams retraced the steps Bingham took on his expedition. With the help of an Australian expatriate guide and a large supply of coca, Adams survived the journey to talk with NPR's Linda Wertheimer about the significance of the ruins and Bingham's legacy. They also discuss who really owns the centuries-old artifacts currently housed at Yale. "This was sort of the golden age of exploration. The moment Bingham got to Peru in 1911, [Robert F.] Scott and [Roald] Amundsen were camped out in Antartica ready to race for the pole," Adams says. 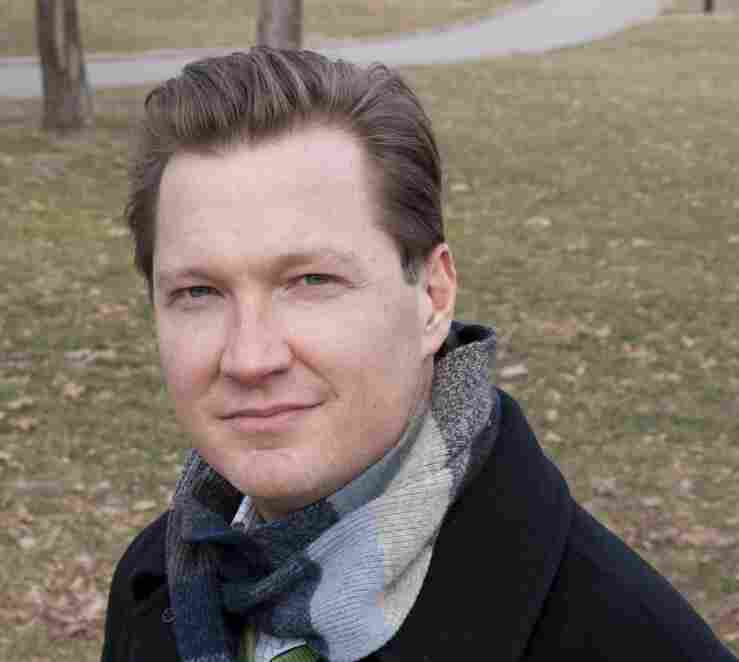 "Even though Bingham was a lecturer in history at Yale, he identified himself as an explorer, and he continued to do so for the rest of his life, even though he later became the governor of Connecticut and then senator for Connecticut." According to Adams, Bingham was in the exploring game less to make the ruins famous than to make himself famous. But Bingham's efforts most likely protected the ruins from destruction at the hands of treasure-seekers. "At that time, people were blowing up Inca ruins with TNT," Adams says. "They were knocking buildings down looking for the lost treasures of the Incas." To undertake Bingham's expedition, Adams had to embark on a taxing journey through the Andes. "After about a week or so of walking up one incredibly steep mountain ridge and down the other side, crossing a river and then repeating over and over and over, I did get in pretty good shape," he recalls. But he admits he was helped by what he calls "Mother's Little Helper of the Andes" — the coca leaf, which is known to keep energy levels steady and relieve what Peruvians call soroche, or altitude sickness. "It is the root ingredient of cocaine, but the effect is so different," Adams says. "The effect is like taking a nap and then having a cup of green tea. It's not like some wild high that's going to keep you dancing all night at Studio 54." Still, he notes, "When I got back to the States, I looked it up on the DEA website and realized that purchasing this much coca would get me five to ten at Sing Sing." Adams describes his tour guide, Australian expatriate John Leivers, as "a throwback to the sort of pre-Lonely Planet era of travel. When he's not leading trips in the Cusco area, he's off exploring for pre-Columbian ruins that no one has ever recorded before." Sort of like Bingham himself. After Bingham's introductory expedition in 1911, he returned the following year with backing from Yale and the National Geographic Society. As part of his mission, he arranged a handshake deal with Peru's then-president to obtain artifacts for Yale's Peabody Museum in New Haven, Conn. But as Bingham was gathering the antiquities, there was a revolt in the country, and the new president who stepped into power had different thoughts on Bingham's procurement of his nation's valuables. "The new president said, 'You know what? I'll let you leave with everything you've taken, on one condition: If we ask for these things back, you have to send them back.' And Bingham said, 'Fine,' and he left the country," Adams says. "These things basically sat in New Haven for about 90 years. It's only recently that Peru has shown really serious interest in getting these things back." "One of the most incredible things about Machu Picchu is that it's still standing." The initial version of this story misspelled coca leaf throughout.